For those who want to lose weight or just want to keep their heart and body healthy, running is a top choice for an effective workout. You can run around the neighborhood, in the park, or in a jogging or running track. During winter or when rainy season comes, you can still run in the comfort of your home with a treadmill. Definitely, running is a go-to workout for people. This can lead to top of foot pain from running. However, no one is completely ache or pain-free from running, especially if you are starting to run. Even the pros or experienced runners get a taste of discomfort and pain in running. This makes it difficult for you to stick to your routine. One of the more common complaints among runners is the top of foot pain from running. This does not, however, come as a surprise considering that our feet are among the most overworked parts of the body carrying a force of several times the body weight in every step. Studies say that about 75 percent of Americans suffer from foot pain at some points in their lives. The risk is higher when you engage in high intensity activities such as running. However, this does not mean that there is no solution to your pain and that you have to stop running. This article will help you identify causes, symptoms, and treatment options you can do to cure and prevent top of foot pain as you run. 1 Why does the top of my foot hurt when I run? 2 What are its symptoms? 3 How should I deal with a top of foot pain from running and is there anything I can do to prevent the same? Why does the top of my foot hurt when I run? The key to treatment and recovery is determining what causes the pain on top of your foot as you run. Here are some of the common causes of such pain. Among the more common causes of top of foot pain from running is the stress fracture. This refers to the break in one of the foot bones, usually the metatarsal bones. It is further caused by repetitive movements, weak muscles, and trauma or injury. If there is sudden increase in activity level such as when you force yourself to make long and high intensity running, then you are at risk of stress fracture. While overweight people have more chances of experiencing such condition, it does not mean that experiences runner are safe from fracture. Pain on the top of foot that manifests stress fractures is usually concentrated on a specific area and may arise with tenderness and swelling. Bone spurs may also result to pain when you run. As your bone spurs start to rub with other bones, nerves, tendons, and muscles, it results to pain and numbness. Bone ﻿﻿spurs are attributed to many contributing factors such as aging and activities. As you grow old, the pressure and stress on to the bones lead to the development of bone spurs. This is because the cartilage between bones thin and wear out as you age. Activities that put additional pressure on the foot like running also results to foot trauma and bone spurs. Other causes of bone spurs include injury and footwear. Speaking of footwear, ill-fitting footwear that pinches on the nerves of the foot results to top of the foot pain that worsens as you run. Apart from improper footwear, nerve entrapment may also be a result of dropping something heavy on to your feet. It usually occurs in the form of sharp and burning sensation as well as numbness. Inflammation and irritation of the tendons in the foot, otherwise called as Extensor Tendonitis, could also be the culprit of top of the foot pain from running. The extensor tendonitis is often a result of excessive use of feet as when you spend long periods in your feet. Running, tight shoes, and calf tightness are also among the other reasons of inflamed tendons. In extensor tendonitis, you will experience swelling and bruising on top of the foot that causes pain when touched. In a poll conducted by Runners World, 10 percent of the respondents have struggled with plantar fasciitis. It refers to the small tears and inflammation of both the tendons and ligaments running from the heel to toes, the painful sensation from which radiates to the top of the foot. This is further caused by extreme pronation and supination. If you have very high or low arches, then you are prone to the said pain. People who run with sudden increase in mileage and those who wear improper footwear are more likely to develop this condition. How should I deal with a top of foot pain from running and is there anything I can do to prevent the same? .- In case of top of foot pain caused by inflammation or irritation, over-the-counter medicines are your go-to. Pain relievers help alleviate the pain and reduce discomfort. - Applying ice on the affected area within 24 hours likewise gives additional relief by reducing inflammation. You can also alternate it with a heating pad. 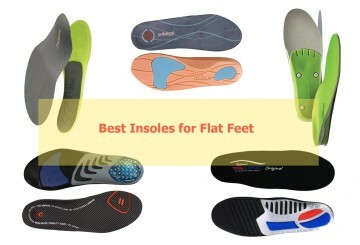 - Use of shoe inserts or any orthotics may also give positive relief. - Replace your shoes with best shoes for back pain. Take a break from the tight or ill-fitting footwear you may be using. Give your feet some space to breathe to prevent any discomfort or pain like that which is caused by bone spurs. Also take time to realize the importance of shoelace. Make sure you do not tie your shoelaces extremely tight as it may also hurt or irritate the top of your foot. - In times when you cannot run, there are stretches you can do to speed up recovery including the towel pickup exercise and rolling the arch of the foot using a round object like a bottle. - In some cases where the pain is caused by being overweight, it is time to rethink and shape up. This is particularly helpful if you are dealing with plantar fasciitis and osteoarthritis. Running is a great cardiovascular exercise and a good way to maintain a healthy lifestyle. With the enormous benefits you reap from running, top of foot pain from running can be disappointing and upsetting. With lots of possible causes, it is important to take care of the wellness of your feet and pay attention to any hint of discomfort and pain as soon as it arises. This way, there is a slimmer chance of experiencing any of the abovementioned causes of top of pain foot from running.